We are kicking off Monday with the last look from my collaboration with Fashiondays.si, in which I decided to mix both of the Esprit items together. One of the things I really love about Esprit is how simple their pieces are, as they are perfect for layering but still really fashionable and chic. So for my last look I went for a really urban look, pairing them with my favorite over the knee boost and this gorgeous Burberry bag that I received via one of my favorite stores The Clutcher. 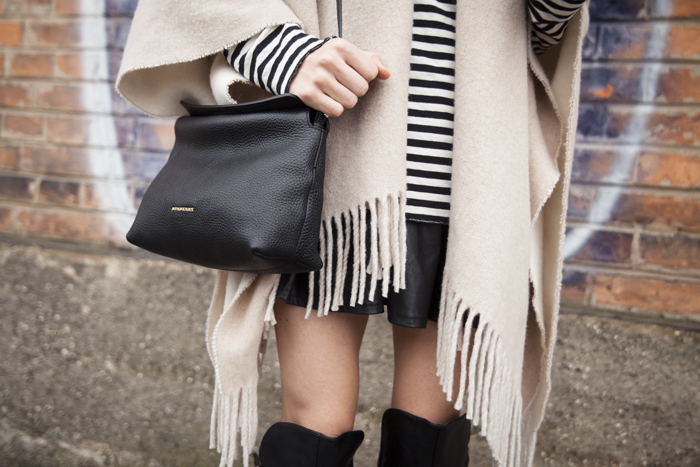 Perfect bag and boots, you look fantastic in this chic outfit! I am totally loving this look and everything about it! Such a great cape! Perfect fall look,, love the cape!